Be Prepared To Be Wowed By This New Home With An Open Floor Plan, This Home Was Built At The End Of 2017 And Features: Gorgeous Flooring, Stainless Steel Appliances, Granite Counters In Kitchen, Kitchen Island Is Large Enough For 4 Stools & There Is Also a Breakfast Bar, Tile Surround in Both Showers & Master Tub, Granite Counters In Master Bath & Full Bath, Tons Of Natural Light, Privacy Fence Already Added In Private Backyard & A 2-Car Garage. Walkable To Frankie’s Fun Park And Future Projected Shops, Restaurants, Etc. 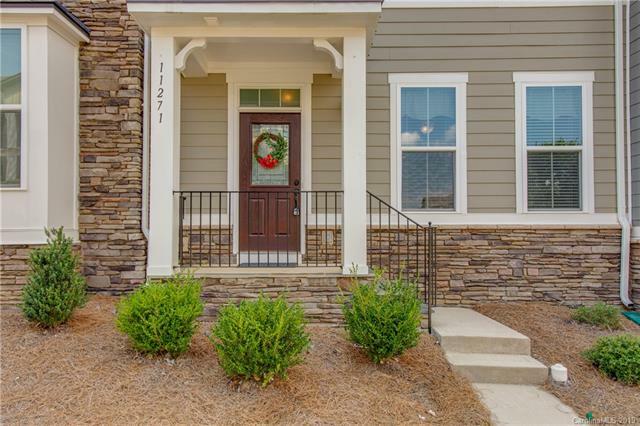 This Perfect Location Is Moments Away From I-77, I-485, And Close To I-85! Close to Northlake Mall, And An Easy Commute Uptown! Photos Of Amenities Are Artistic Renderings. The Pool & Club House Should Be Open In 2019. Motivated Seller! Complete the form below and one of our agents will contact you. Or, if you'd rather, you can reach us via phone at 704-579-7807.